wollte kurz meine Freude mit Euch teilen. Ich habe die neue Bundle Monster 2014 „Create Your Own“ Collection bekommen. Juhu ! :-). Vorgeschichte: vor ein paar Wochen habe ich an dem Halloween Nailart Contest von Bundle Monster teilgenommen und wurde mit diesem Design eine der Gewinnerin. Mein Gewinn ist nun angekommen. Die Motive auf den neuen Schablonen kamen von Bundle Monster Fans, deswegen heißt die Kollektion auch „Create Your Own Collection“ (oder abgekürzt „CYO Collection“). Ich habe schon einige schöne Images entdeckt, hier sind meine Top 3 Schablonen aus der Kollektion: BM-611, BM-612, BM-614. Sind sie nicht toll? Freue mich auf Designs mit dieser Kollektion. A few weeks ago I participated in the Bundle Monster Halloween Nail Art Contest and became one of the winners with this design. The collection was the prize and it has just arrived. Images on the new Bundle Monster plates were created by Bundle Monster fans, that’s why the name of the collection is „Create Your Own Collection“ (commonly called the „CYO“ Collection). 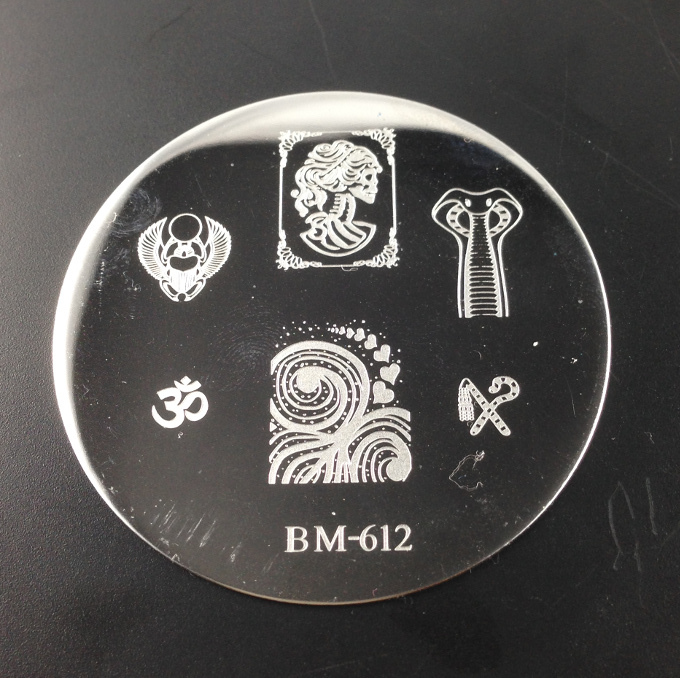 I have already discovered many beautiful images on these plates, my top 3 plates are: BM-611, BM-612, BM-614. Looking forward to creating new designs with this collection.